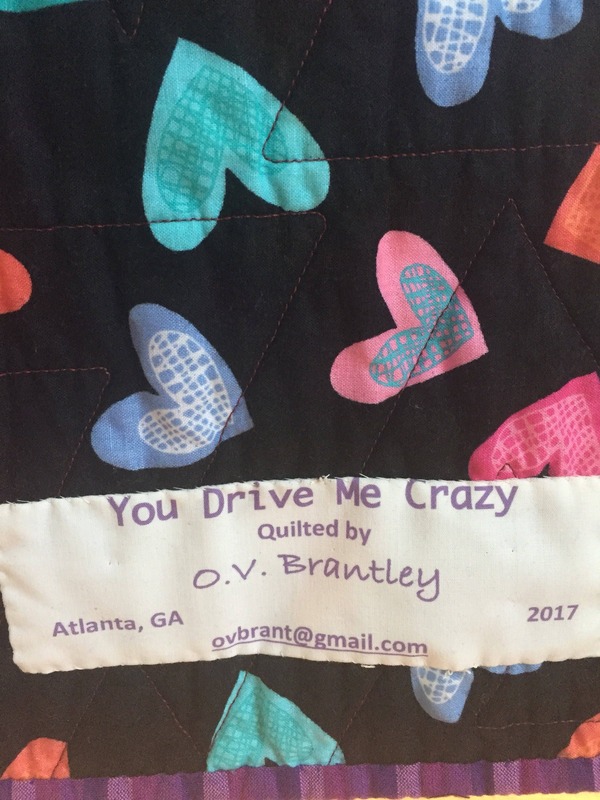 "You Drive Me Crazy" is a colorful art quilt. 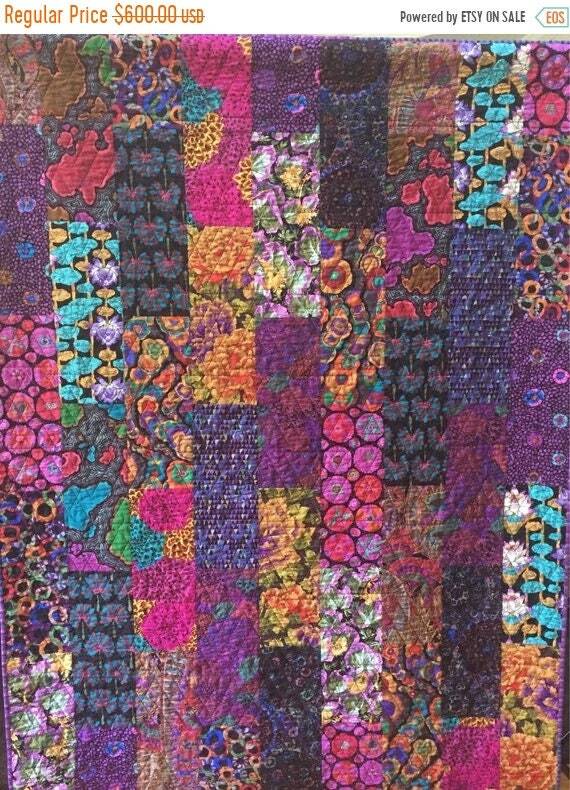 Made from Kaffe Fassett fabrics, the colors and patterns are big and bold. 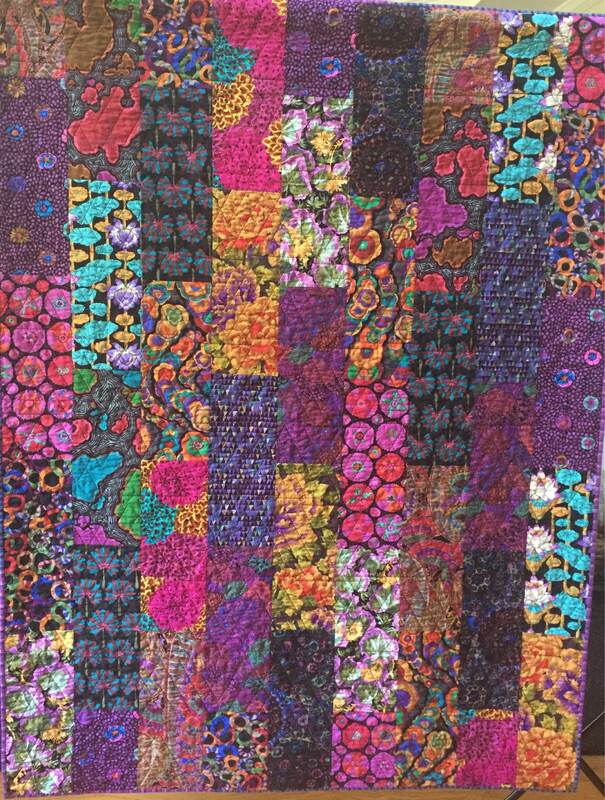 The quilt is pieced and quilted by machine. It measures 54x72 inches. 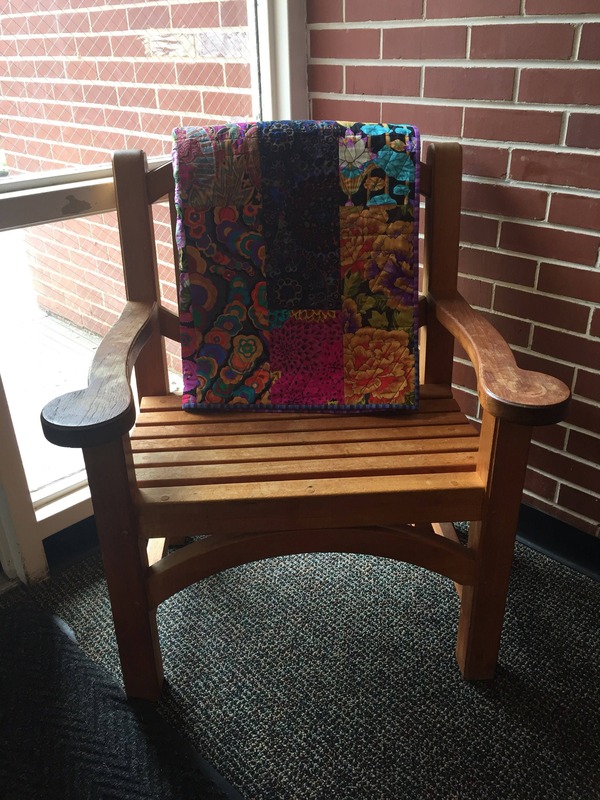 There is a hanging sleeve on the back in case you want to hang it, but it is large enough to be a lap quilt. 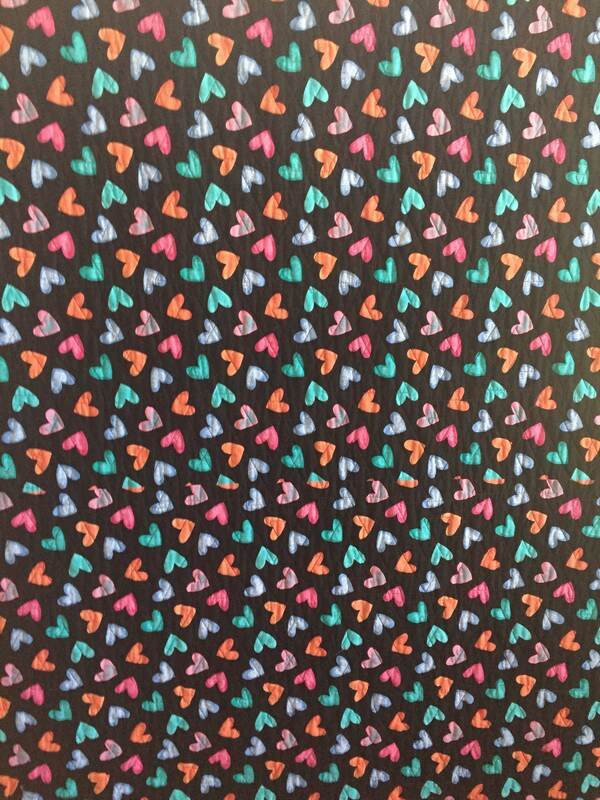 The back of the quilt features colorful hearts. 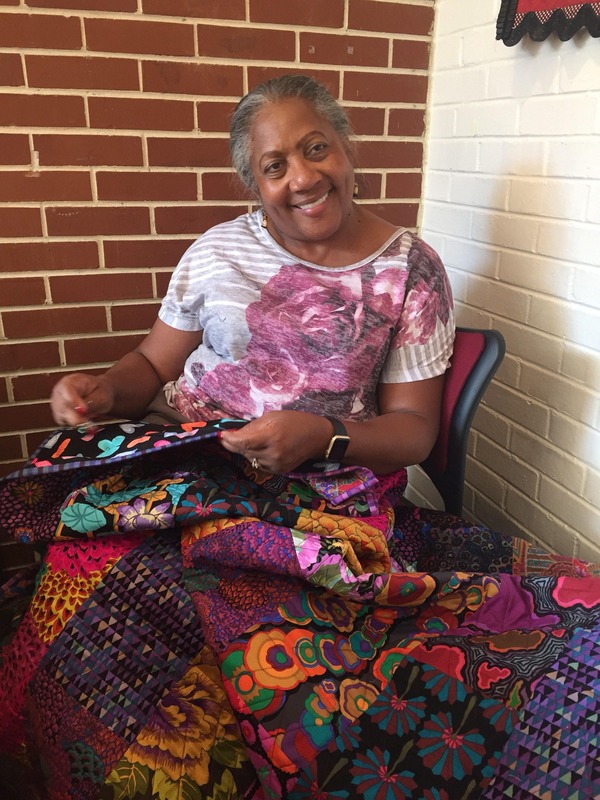 There is a label on the back that documents the quilt. I signed it on the front.